Motherhood has curtailed reading time a tad but here are a few running books I enjoyed at the end of last year. Further recommendations are most welcome. Ok, I’ll say it right off – I like Eat and Run a lot and decided quickly that it was one I wanted to own. It mixes an engaging life story with great insights and advice, and includes delicious recipes at the end of each chapter. Somehow, I came out totally wanting to be vegan. Although that urge remains in the realms of vegan-curious for now, this aspirational quality permeates the book’s titular focus. It’s essentially about running smart and eating smart, and makes a pretty solid case for both. Jurek had a difficult childhood, stumbled into ultras sort of by accident and then proceeded to carve up Western States and many other ultramarathons repeatedly. He’s a serious and inventive vegan, and makes the best case for a plant-based diet I’ve read. The recipes were one of the convincing factors in buying the book, as I kept going back to them. They can be frustrating initially if your pantry is as ordinary as mine – damn it, we’re all out of sprouted sorghum and mesquite powder! – but stand up well to substitution. Mostly. I made vegan gluten-free pancakes out of scraps I found and they had structural integrity issues, but tasted good. My favourite is still the chocolate adzuki bean bars. Honest, genuinely inspiring, and highly recommended. This one’s been around a couple of years now but hadn’t made it into my frame of reference. It’s also highly inspiring. I might have to slow up on the inspiring books while I have a young child, as she probably wouldn’t appreciate me dashing off to run across continents and take on wolves either. Perhaps I could just run to Raglan for now. The gist is in the title – after losing her beloved husband, Rosie Swale-Pope runs around the world over five years raising money for charity, taking what she needs with her. Her style is relaxed and humble while the stories are often mind-boggling. Insane coldness, wolves, a naked gunman and frostbite all feature. It’s a phenomenal expedition, really, related with humour and honesty. In a sense it’s a great contrast to read next to Eat and Run due to the simplicity of Swale-Pope’s diet – she’s often on 1/3 cup of buckwheat groats per meal (damn pantry, we’re all out of buckwheat groats too). They would agree on the central place eating and running take in life though. Perhaps the sentiment that resonated most for me was her musings on just how much we can really do without. So I didn’t buy her book, but I liked it whole lot. The trouble with reading about Jurek and Swale-Pope is that most running books will consequently suffer in comparison. This book is light and likeable enough – a rundown of one average UK guy’s discovery of marathons and his subsequent 42.2k experiences – but lacked a bit of pizzaz for me just due to being narrower in scope and following a less dynamic character. It’s written well though, as Hewitt is a journalist, and prompts some wistful envy of just how many interesting marathons are a day away when you’re in Europe. It would make good research for anyone considering a European marathon, as he reports on a fair few in detail. He didn’t enjoy Paris as much as I did but did also note the public pee-fest at the start. Embarrassing runner’s admission – it kept me reading partially to see whether his PB would get below mine (no, not quite). If you particularly like marathons, this is a worthy read. If you prefer ultras and weird stuff instead at this point in time, by all means give it a go. Just don’t expect anything transcendent. 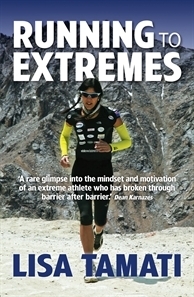 I found Running to Extremes a good enjoyable yarn. 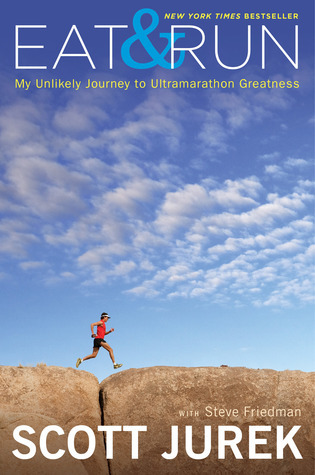 Tamati’s first book had a wider autobiographical focus whereas this has a straightforward approach – several detailed race/run reports of interesting adventures plus thoughts on various aspects of ultrarunning – and this simplicity works well. It was nice to have a New Zealand perspective in the mix while I was on this ultra-masochism-book kick. There’s a certain fascination in reading about the intricacies of intense multi-day expeditions such as the Gobi March and how tough, and sometimes dangerous, they can be. Unlike some of Jurek’s and to a degree Swale-Pope’s experiences/events, I’m not drawn to emulate the hot long stuff yet. As Alba would say, maybe soon, maybe later. Some of the running advice was aimed more at newer runners but I found some of Tamati’s observations timely, including the need to be careful with adrenal recovery and how easy it is to get sick slightly after an intense event. Pretty interesting and easy to read. More NZ ultrarunning stories in published form please? I’m definitely looking forward to reading Malcolm Law’s when it comes out.